The luxury and performance of Jaguar, just got a new face. 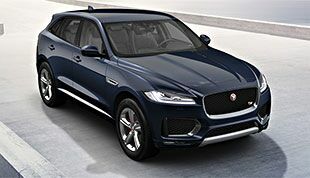 Introducing the Jaguar F-PACE. 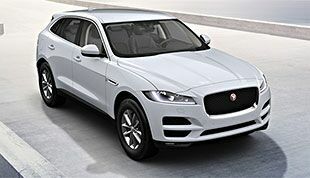 Jaguar has finally provided their take on the SUV, and they haven’t disappointed. 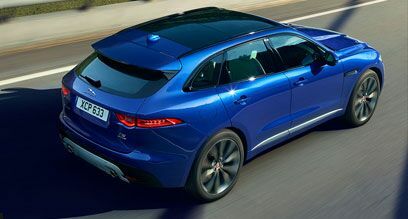 The F-PACE comes loaded with features and technology that turn any road into a playground and even the worst road conditions into a walk in the park. 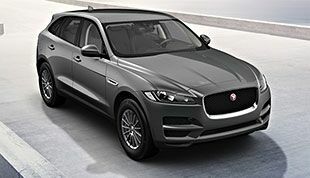 Jaguar has certainly left its mark on this performance luxury SUV. This 8-speed transmission provides smooth acceleration at all ends of the spectrum. Shifting is rapid and responsive. Not a second of road pushing power is lost between gears. With manual shifting options, the driver is in complete control when they want to be. 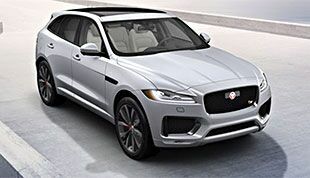 ASPC allows the Jaguar F-PACE to adjust rapidly to all road conditions. From street, to mud, to grass, to snow, the F-PACE is ready to provide the driver with ideal control and feedback. Adaptive Surface Response is always reading the road and adjusting accordingly. 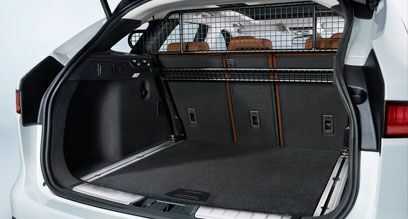 The material of the rear cargo area can be switched from durable carpet to an easy-to-clean rubberized surface in seconds, making the F-PACE always ready for comfort or play. The 40:20:40 rear folding seat provides complete adaptability to the cargo area. 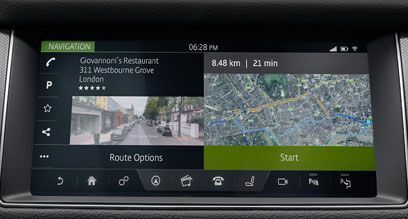 Every Jaguar F-PACE comes loaded with technology and packed with features. These SUVs are built to handle the rigors of the most treacherous roads, all while still maintaining the luxury and the comfort that you would expect to find in a vehicle bearing the Jaguar badge. With a wide range of alloy wheel options that go up to 22” in diameter, an optional panoramic glass roof, and six trim levels, elegance comes to fit any lifestyle. The F-PACE at its core with 18” alloy wheels and a dynamic handling profile. 19” alloy wheels and the additional luxury features will not go unnoticed. Taurus leather seats and keyless entry is just the beginning for this loaded luxury SUV. R-Sport body kit creates an even more assertive profile accentuated by the inclusion of 20” alloy wheels. A 3.0L 380hp supercharged V6 engine is a true force to be reckoned with. Fully loaded with exclusive features, this limited edition Jaguar with 22” alloy wheels, will always turn heads. *Price shown is Manufacturer's Suggested Retail Price. Excludes $995 destination/handling charge, tax, title, license, and retailer fees, all due at signing, and optional equipment. Retailer price, terms and vehicle availability may vary. See your local authorized Jaguar Retailer for details.